The University of Illinois at Chicago has received a $12 million contract from the National Institutes of Health to continue its role in the largest-ever prospective epidemiological study of Latinos. Started in 2008, the Hispanic Community Health Study/Study of Latinos (HCHS/SOL) is a multisite study designed to identify the prevalence of certain diseases within the Hispanic population, as well as factors that play a protective or harmful role, among other things. “This study is crucial because Hispanics/Latinos now comprise the largest minority population in the United States, and we need to know more about their unique health risks so that we can educate the community and prevent cardiovascular and other chronic diseases in this population as it ages,” said Dr. Martha Daviglus, director of UIC’s Institute for Minority Health Research and principal investigator for the HCHS/SOL Chicago field center, in a statement. The $12 million contract will fund phase three of the study, which will continue through 2025 and check in with at least 80 percent of surviving participants to assess changes in lifestyle factors, such as smoking, diet and exercise; identify new risk factors or diagnoses; and ascertain the acculturation to American society. The new data will be used to identify associations between lifestyle factors and other characteristics from the phase-one screening with the development of cardiovascular disease and other health outcomes. Phase one collected information on the health issues, risk factors and lifestyle habits of 16,415 adults ages 18-74 living in Chicago, San Diego, Miami and the Bronx in New York City. Participants self-identified as being of Central American, Cuban, Dominican, Mexican, Puerto Rican, South American or “other” Hispanic or Latino background. More than 4,000 Chicagoans participated in the initial phase of the study, which included an extensive exam and questionnaire about their health and lifestyle factors. Results from phase one of the study, which ran from 2008 to 2011, detailed the size of risk factors experienced by the Latino population. For instance, the study found about 17 percent of Hispanic men and women had diabetes, and about 37 percent of men and 43 percent of women were obese. The results also showed about 80 percent of men and 71 percent of women had at least one risk factor for cardiovascular disease. During phase two of the study, researchers re-examined 11,621 of the participants and collected data on chronic diseases that are prevalent in the Hispanic community, including heart disease, diabetes, asthma and gestational diabetes. In addition to completing questionnaires on demographic, sociocultural and lifestyle factors, participants underwent a genetic analysis. With the data collected during phase three, researchers will have detailed information on participants going back more than 10 years, allowing them to look at changes in health risks over time and in relation to changes in lifestyle factors. Researchers plan to use the information collected to shed light on the so-called “Hispanic paradox” that finds Hispanic individuals in the U.S. tend to live longer than whites despite their overall low socioeconomic status and high rates of obesity and diabetes. “With phase III, we believe that enough time will have passed since we first examined some of these participants, that data will emerge indicating whether the ‘Hispanic paradox’ really exists and if so, what are the factors driving it,” Daviglus said in a statement. 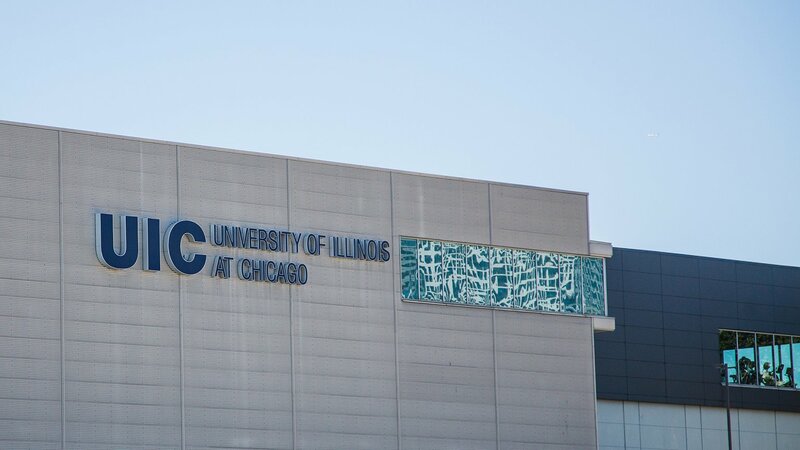 Two additional NIH-funded studies involving HCHS/SOL participants will be conducted at UIC. One study will examine whether physical activity habits predict peripheral artery disease, a circulatory condition in which narrowed blood vessels reduce blood flow to the limbs. The other study seeks to identify modifiable risk factors that contribute to Alzheimer’s disease and dementia. Dr. James Lash is a co-principal investigator at the HCHS/SOL Chicago field center. Maria Argos, Dr. Mayank Kansal and Dr. Fernando Testai at UIC are co-investigators. Ramon Durazo-Arvizu, Dr. Richard Cooper and Dr. Majid Afshar are consultants on the project.